Grocery Shopping is DIFFICULT now! ~ Rachel | Losing It! First, let me explain what started this. My future mother-in-law bought us (me) a food processor as a wedding gift. I haven’t had time to sit down and read the manual yet (it is a little daunting to be honest) but I decided that with this detox diet, I would break the food processor in with homemade hummus. No problem, right? Wrong. 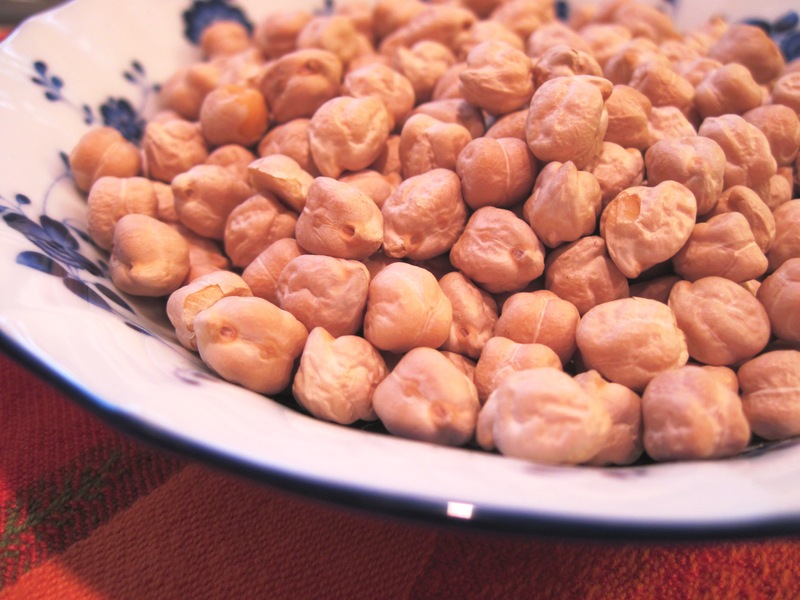 I’m not allowed to have canned food while detoxing…which means no canned garbanzo beans. So I decided to hit up Whole Foods, figuring that dried chick peas existed….and knowing that time spent making hummus was going to be extensive. Well, they did have them and I filled my bulk bag up with them…figuring I would screw up at some point, I’m pretty sure I ended up buying like 6 pounds of dried chickpeas! (UPDATE: I checked my receipt and it was 3.78 pounds at less than $2/lb!). Anyways, that was the easy part of my trip. I hit the chip aisle. I bought those baked lentil chips from Fresh Market yesterday and I wanted to see what Whole Foods had. I gave up after a few bags. The rice chips had corn in them. 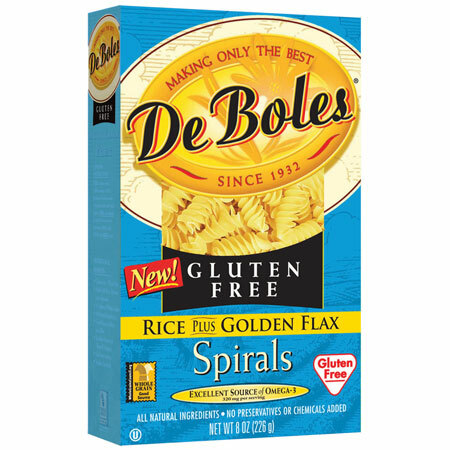 Almost all of the gluten free chips had corn or soy in them. The one bag that I picked up that didn’t was $2.99 for a tiny bag and it sounded so gross I can’t even remember the name. I then checked out the pasta. I’m Italian so the thought of gluten-free pasta seems quite wrong to me but I’ll give it a shot. They had pasta made with quinoa, one of my favorite foods. Except there was corn something or another in there. 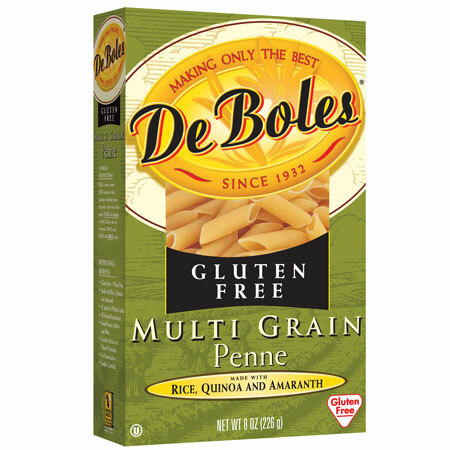 I did manage to find some interesting pastas and grabbed 2 on sale (2 for $4) that I’ll try: Rice plus golden flax spirals and multi-grain penne made with rice, quinoa and amaranth. That second one has a “Improved Texture!” sign on the box. That doesn’t make me want to eat it!I then hit the seafood counter. Yes, I know doing that at Whole Foods is a lost cause. Prices were definitely cheaper at Fresh Market, shockingly enough. I’m beginning to think I’m going to have to buy frozen seafood in bulk in order to be able to eat for the next few weeks. Doc wants me eating plenty of non-shellfish fish. Even the tilapia was $9.99/lb and I’m not even sure he wants me eating that (I think tilapia is a “bottom feeder” type fish). I do have some salmon and cod and one expensive piece of flounder in the freezer. Wild salmon is out of the question at something like $18/lb. There was nothing else under $10/lb that I could find. Good thing I only have to feed fresh fish to myself. Dave won’t touch it unless it’s battered and fried! So while eating fresh fish is not a special dietary thing I have to follow, it is expensive. Eating health costs more…and don’t let anyone tell you differently. I then hit up the chocolate section. On this detox I have to refrain from eating dairy. This means no ice cream or frozen yogurt. This is not something that makes me happy at all! I need to be able to satisfy my sweet tooth with something other than fruit…because believe me, I am eating enough fruit these days. That’s the other thing about eating healthy…produce is NOT cheap. Why can’t there be coupons for fresh foods? Anyways, I wanted to see if I could find dairy and soy free chocolate. I knew dark chocolate was the way to go, which is fine because I much prefer dark over milk, but finding soy free chocolate is not easy. Everything seems to have soy lecithin in it as an emulsifier. Well, I managed to find a couple of options which I *think* meet the guidelines. I see Doc on Monday and will bring them in for his approval. Anyways, the one bar is actually a local NC chocolate that is my favorite fancy chocolate…so that made me happy. It’s a sea salt chocolate bar that is just fantastic. Ever tried sea salt on chocolate? It’s ingenious! 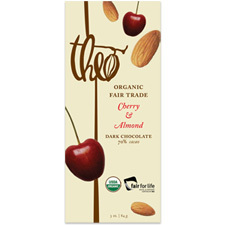 The other bars came from an organic and fair-trade company called theo. I don’t really care about the organic label but it does make me happy to find something that’s fair for life, which is essentially fair trade certified. 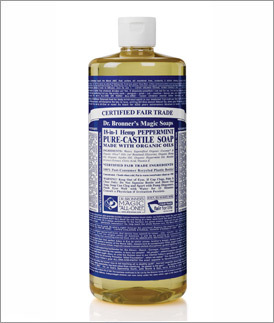 If I had the money…and no other restrictions…I would try to buy fair-trade everything (see below for a fair trade soap recommendation). Anyways, these chocolates are basically made with sugar, cocoa, cocoa butter, rice flour and some natural flavoring. Whew…no soy. Apparently, it’s suitable for vegans LOL! Anyways, I grabbed the dark chocolate (70%) and mint and the dark chocolate (70%) and cherry almond. So after I picked up 3 chocolate bars that would total almost $12, I decided I was going to pick up my local eggs and head home. Ok, I hit up Starbucks first so that I could enjoy one last triple venti skinny french vanilla latte before the detox. Lucky me, I got a new barista who had never made one before. It was drinkable but not the best one I’ve ever had. Anyways, I digress. Back to the shopping. I also bought some chocolate almond milk to try. The fact that it doesn’t come refrigerated freaks me out. Milk should be cold…from the very beginning. I’ll have to get over that fact before I try the almond milk! As you see, eliminating a bunch of stuff from your diet is not easy and it is most definitely not cheap. It’s not even close to cheap. Luckily, I only have to do this for 3 weeks. After that, I can add things in one at a time. I’m sure it’s a lot easier to go gluten free if I can have soy and/or corn. Everything I mentioned above plus 2 peaches and some cod cost me over $50. That’s just wrong. Moving on to another topic….body wash. I’m an Aveda girl and pretty much use all their products but when finances are especially tight, I have to resort to other stuff. I’m not terribly picky but I do like for my body wash to be more on the natural side of things. Dave, on the other hand, just wants his body wash to cool him off. Up until recently he was only using Irish Spring with menthol in it. Do you know how harsh that stuff is on your skin? With coupons, we’ve tried other body washes with menthol or ones that are meant to “cool.” I mentioned Dave’s body wash issue to my hair stylist, who works at an Aveda salon. She told me about Dr. Bronner’s Pure Castille Peppermint Soap. She said she actually gets cold when she uses it. Oddly enough, you can find it at Target (and Whole Foods, where the big bottle happens to be $6 cheaper than Target through November). It’s also a certified fair for life/fair trade and organic item! And very pepperminty! We both really like it. Dave loves taking showers after the gym and then standing in front of the fan to dry off LOL! The soap is a bit more liquidy than you would expect from a body wash, but you actually need less of it on your body pouf than normal. It’s quite nice! If you are looking for a cooling body wash that will also awaken your senses, this stuff is for you! Also, your skin feels quite nice afterwards…there is absolutely no film or residue! Hopefully, the eating part of this detox diet goes smoother than the grocery shopping for it! Maybe that’s the whole point though…to not eat anything that has more than one ingredient! Almond milk is the BEST thing ever. I love drinking a small glass of the unsweetened stuff for a snack at night. Really, really love it. The detox is hard for the first week. After that, smooth sailing! Good luck! Be careful when cooking the gluten free pasta. It has a very different texture from wheat pasta and doesn’t hold up so well. It took my Mom a while to find a pasta she liked, and that ended up being $8/lb(!!!!). I bought hemp milk one time that wasn’t refrigerated – kinda scared me, but once cold it was really good! Okay, so I made the shrimp curry dish tonight for one of our lunches that you sent me of Rachael Ray’s and it was kinda bland – I ended up adding sriracha and some peanut sauce, and now its fantastic – yum! !